Regal Furnishing was established in 1997. We were so driven to get to grips with the new venture and it didn’t take long before we were certified specialists in the upholstery of motorhomes. We’ve worked hard to get to where we are now and although it hasn’t always been easy, motorhome upholstery is something that we not only excel in, but enjoy. If your motorhome is in need of new upholstery fabric, we have got just what you need. With an extensive range of quality foams, fabrics and linings, you’re sure to find something that the perfect combination to suit your tastes and needs. We’ll give you the grand tour of our fabric room if you wish and you will be able to see our vast array of colours and designs first hand. Our impressive choice of materials available for you to choose from ensures that your motorhome upholstery project meets both your and our high expectations and quality standards. 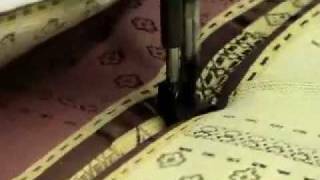 We are able to produce shaped cushions, buttoned and piped cushions and plain or boxed cushions. On top of this, we can also repair any zips that seem to have taken damage at some point down the line of you owning your leisure vehicle. All materials used by us here at Regal Furnishing comply with British Standard fire regulations to make sure that you aren’t at any unnecessary risk of outbreak of fire. Should your motorhome upholstery only need refilling, we can simply replace your foam without the need of you making the trip here. Send us your cushions and we will get them back to you in perfect condition, exactly as they were when first manufactured. Whatever your motorhome needs, you can rest assured that we can offer you a first class motorhome reupholstery service with a realistic and affordable price. 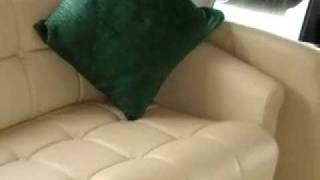 Your motorhome reupholstery can be completed in as little as one day. If you would like to see the transformation of your vehicle completed in a short time frame then you’re in the right place. We begin work at 7:30am and by the time 4:30pm comes around, Regal Furnishing will have made your dreams a very real reality. If you are considering having your motorhome brought back to life and once again enjoying the freedom of travelling the roads in comfort and style, contact us today to see how we can help you. 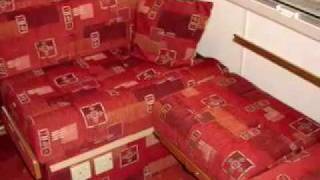 Alternatively, Regal Furnishing is one of the leading caravan upholstery specialists.